Please log in to create a new Neighborhood Watch Group. If you do not yet have an account, you may register for one. Register to receive the newsletter that contains stories and information on what others are doing in their Groups. It is wonderful that you are taking the steps to start a Neighborhood Watch group in your neighborhood. The first step is talking to your fellow neighbors about starting a group. The next step is contacting your local law enforcement agency. Invite them to meet with your group at a time and place convenient for your Watch Group. It is essential for your group to work in collaboration with law enforcement because Neighborhood Watch is a cooperative effort. If law enforcement is unavailable to come to the first meeting you might want to have a meeting to discuss the concerns and issues in the neighborhood. Your group should create a plan on how to work towards lessening the impact of the top 3 concerns of neighbors. There are wonderful resources that you can use to guide you. 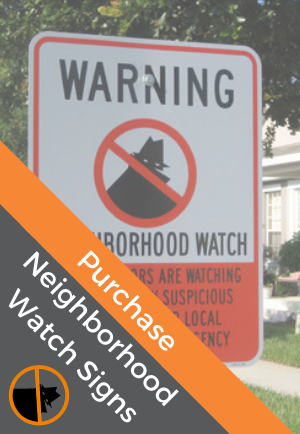 Become a National Neighborhood Watch Member to gain access. Click here to join today. It is important to decide what type of communication will work for your watch group - meetings or social media or both. Our publication on Advances in Technology Take Watch Groups to the Next Level will help you to understand what resources are out there. Neighborhood Watch Toolkit has a number of wonderful training topics and meeting ideas that can be useful to your group. What are some of the benefits of starting a Watch Group? NOTE: due to the large number of registered neighborhood watch groups across the country, “policing” and investigating them on the national level is not something we have the resources/capability to routinely do.